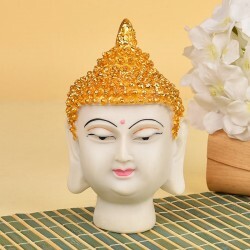 An alluring range of Buddha statues online, MyFlowerTree's Buddha Collection is a way to gift prosperity and good luck to your loved ones. 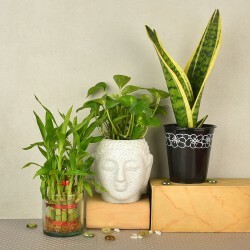 If you are seeking peace and tranquility for yourself, the various Buddha statues can help by attracting positivity in your home and enhancing your dcor at the same time. Gautama Buddha, the ascetic and sage on whose teachings the religion of Buddhism was founded, is often referred to as the 'awakened one' or the enlightened one. Buddha is worshipped deified for his teachings that encouraged people to follow a path of steadiness and attempt to bring happiness to the world. Buddha idols and sculptures today also represent the same and come in a variety of designs, each representing a different teaching and representing a different area of Buddha's life. While these Buddha figures were often found in a Buddhist altar in a home, it is now also becoming popular as a home dcor item for the non-Buddhists to incorporate into their homes and gardens. 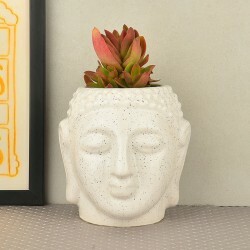 You do not necessarily have to be a Buddhist in order to believe in and incorporate a statue of Buddha in home decor items. 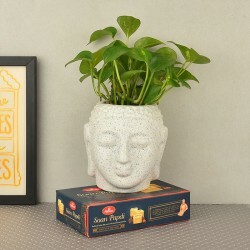 In Feng-Shui, Buddha statues are belived to be a source of the chi energy, which with the help of the statue moves throughout your home and garden space, attracting luck and happiness. 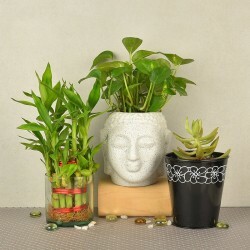 You can use Buddha statues for home and garden to enhance your personal directions in addition to energizing the weakened sectors of your life, according to Feng-Shui. There are several forms of Buddha available, differing in style and poses. And since, every statue has a meaning behind it, it is important that you understand what each statue symbolize and choose the one that can help you optimize the chi energy it attracts. 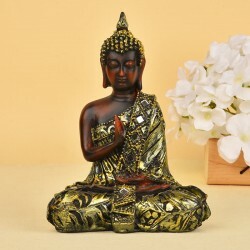 Therefore, when shopping Buddha statue online scroll down and read the meanings of these statues in relationship to the area of your life you wish to cater. 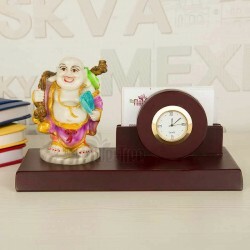 The laughing Buddha is probably the most recognizable and popular form of Buddha in the western culture. It is considered to be good luck and a source of bringing prosperity and abundance when received as gift. These statues depict Buddha in his later years with a large belly and a content expression on the face. The statue is affectionately hailed as laughing. These statues often have him in a standing or a sitting position with hands over head supporting a Ru-Yi pot or the vessel of plenty. It is best placed in your personal wealth corner or in the southeast direction with the statue facing the inside of your home. It is also great for your office, placed on the north wall facing the entry. There are also sets of different forms of laughing Buddha online, which are said to work great when placed, lined up next to each other. 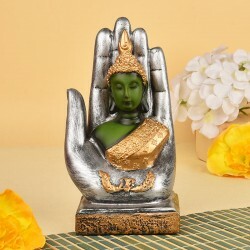 Also termed the statue of Calling Earth to Witness, it features Buddha sitting on the ground with one of his hands extended with fingers pointing to the earth. This statue honors Buddha for the time when he was repeatedly tempted by Mara, the demon, but he resisted to finally reaching enlightenment. 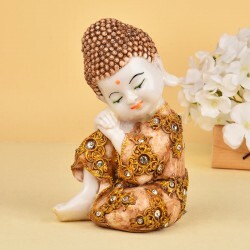 You can place this statue in the form of a Buddha ornament in any area inside or outside your home that you believe to be attracting lack of enthusiasm. The statue sited in the southwest corner can help ease difficulties in a relationship to strengthen your commitment, while dissatisfaction at work can be healed by putting it in the north. In a Reclining Buddha statue he anticipates his transition from this life to death, which was viewed by him as a mere shift into a different state of being. Therefore, for those who are in a transition period must have a reclining Buddha at home. So, place it in North of your home or office if you are switching between jobs. If you have just suffered the end of a relationship, place it in the Southwest corner. Never place it directly on the floor or anywhere in a bathroom. These are considered as disrespectful. Do not place a statue in your bedroom unless it is kept closed in a cabinet when not being used. It should always be places facing inside towards your room unless it is placed at the entrance of the house where it should face outside looking over to those entering. 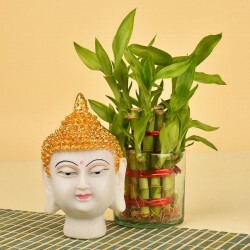 Buddha statues in the garden should always face your home to impart great luck and abundance. 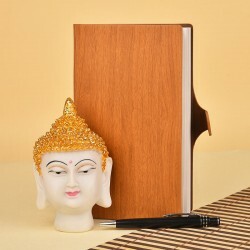 At MyFlowerTree, you can find a wide range of Buddha statues for sale. 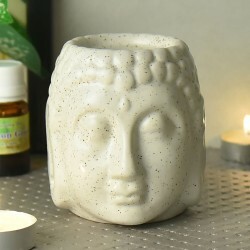 Not only do these bring abundance to your home and workplace, they are also great decorative items to set a spiritual, peaceful theme. Here you can find varieties of Buddha poses, from reclining to the Earth Buddha as well as laughing Buddha. 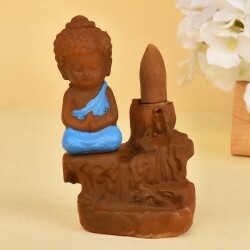 While our busy and hectic lives attract a lot of dissatisfaction and stress, buy Buddha statue online at MyFlowerTree and allow peace and tranquility enter your life. 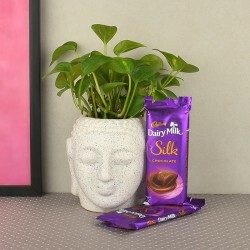 We also offer hampers for your loved ones with a combination of personalized gifts and a Buddha statue that make an ideal gift for any occasion. And our same day delivery service ensures it reaches them quick and in the best condition. Products in this category have been rated 4.6 out of 5 based on 132 reviews.